In conjunction with Istanbul's third airport opening, the real estate sector in Istanbul is witnessing an increase in home sales. The new airport will be completed on April 6, 2019. The airport will be fully operational and the tourism sector will also benefit. Turkish real estate experts believe that the new airport in Istanbul will boost Turkey's economy, especially the real estate sector, as this airport has strategic importance for Turkey. Istanbul's third airport is one of the most important investments in the field of transportation in Turkey. With the full operation, the increase in home sales is expected to increase significantly, as well as a positive development in the real estate and tourism sector. This $ 8 billion airport is one of many major infrastructure projects announced by President Recep Tayyip Erdogan, and the airport will initially be able to handle 90 million passengers a year, a figure Turkey hopes will double by 2027. Making it the largest in the world, compared with current airport operations worldwide. 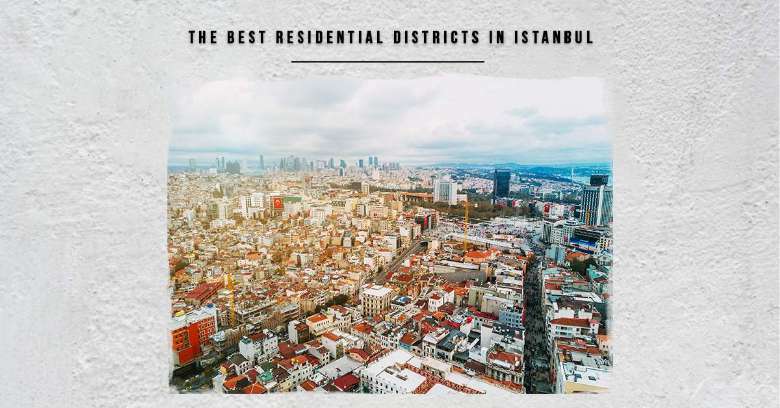 Turkey occupies advanced ranks among countries in the world in terms of attracting the purchase of foreigners to real estate in them, and with the passage of time is increasing the proportion of foreign buyers of real estate rapidly. The new Istanbul airport will encourage its large capacity to attract foreigners and increase the sale of real estate in Istanbul. Last year, the number of sales of apartments for sale in Turkey was more than 40 thousand apartments, and in the first two months of 2019 increased the sale of apartments to foreigners by 87% compared to the same period last year, the number reached 6489 apartments. In Istanbul, which is ranked first in the sale of real estate in Turkey was sold 14 thousand and 270 housing units for foreigners. In the next three years, this figure is expected to double, and the figure in Istanbul will exceed 30,000 units a year. Erdogan's government sees Istanbul's third airport adding 4.9% to GDP by 2025, as well as the top 10 economies globally. The new Istanbul airport will control the three continents: Asia-Africa-Europe, with its strategic location linking the east, west, north, and south of the world. The airport's operational plans also indicate that it will capture traffic and passengers at regional and international airports such as Dubai, Frankfurt, and Heathrow. Many media outlets - notably the Turkish newspaper Zaman - have spoken of increasing investor interest in real estate around the airport, which has naturally led to higher real estate prices. The report was quoted by Arule as "the president of Keller William." When asked about real estate prices in the area surrounding the airport, he replied that the square meter before talking about the third airport project in Istanbul was 80 pounds, and in 2016 the price reached 250-300 pounds, which is rising since the announcement of the opening of the airport at the end of This year. As for the nationalities of foreign investors interested in the region, Arul said that investments will not be limited to residential units. There will also be malls, offices, hotels and industrial investments. The most prominent investors are those coming from Arab countries such as Saudi Arabia, Lebanon, Qatar, and Kuwait. How will Istanbul's new airport affect transportation? The airport will be linked to the third Istanbul Bridge, the Istanbul Canal, and the northern Marmara highway, which will help to eliminate the problem of traffic and traffic congestion in the city. It is worth noting that the importance of the areas around these projects has already begun to rise. Property prices from land and residential units are gradually rising in both Kanta and Galatja - Winnie koy, Siliveri, basak sehir, bahce sehir, and hadim koy. These areas have become an important center for attracting large and small investors, businesses and institutions. One of the projects that will contribute to reducing traffic congestion in the construction of the metro line, which will contribute significantly to increasing the value of property prices in the region. The property values are also expected to rise substantially in, esenyurt and Beylikduzu, as these areas will also be heavily fed by the mega-projects that will serve Istanbul's new airport. What are the pros and cons of real estate investment near Istanbul's third airport? To make sure you make the right decision, we will review the disadvantages and benefits of living near the airport. Let's begin with what people usually warn you when you tell them that you want to live near the airport. There is no doubt that noise tops the list of concerns of many people when buying a property near an airport, but in fact, there are no longer the real problem in our time. For example, American Airlines is phasing out the noisy MD80 and replacing it with Boeing 737s. The DFW website also points to significant strides in aircraft noise reduction technology over the past three decades, thanks to the efforts of NASA and the Federal Aviation Administration (FAA) as well as aircraft and engine manufacturers. With this technological advance, the problem of noise pollution can disappear forever. Research has suggested that air traffic can pollute the air for up to 16 kilometers, a larger area than previously thought. This is a problem that exists only in small airports and not in an airport that covers an area of 7300 km²! Such as Istanbul's third airport, which is already reassuring. For further safety, the zone identification systems allocate areas close to the airport for commercial and industrial activities. To keep residential buildings, schools and childcare centers in the second district. The biggest advantage of all is that you will be close to the airport, which means that your travel time for any local or international destination will be reduced, which is great if you are traveling a lot. Even at the level of internal traffic, the neighborhoods close to the airport are also suitable for public transport lines, making your trip easier because you will not have to deal with traffic congestion, parking, and other mobility problems. Living near the airport has its advantages and disadvantages. On the plus side, air travel will be very comfortable and you will be able to save a long time. On the downside the noise and health risks may be real concerns, all depending on the proximity of the airport and flight routes and even the type of aircraft used. If you plan to take advantage of the opportunity and invest near the new airport, such as buying a property or a house near the new Istanbul airport or looking for land for sale in Istanbul, we are here at (right home Consultancy) to help you provide all the information you need about the investment opportunities available and provide tours To closely assess the importance of planned investments. call us now. The Turkish city of Istanbul in October 2018 awaits a spectacular economic boom, coinciding with the opening of Istanbul's third airport, one of the world's largest airports. The current government regards it as one of the "crazy" projects or what is known as the "Century Project" 10 economies around the world, in order to achieve the most important objectives of the 2023 Plan. Thursday, 22 June 2018, the plane of President Recep Tayyip Erdogan carried out the first landing at the airport, which is the largest airport project around the world built from scratch, and said immediately after landing: "We live happily establishment of a majestic airport." On October 6, 2017, the Minister of Transport, Communications and Maritime Navigation, Ahmed Arslan, confirmed that 68% of the construction had already been completed at the airport and that the official opening of the first phase of the airport would be completed on October 29. Although there are many opportunities and mega projects that will contribute to the increase and growth of the Turkish economy, within the plan of 2023, Erdogan's government plans to add the new airport the opportunity to achieve unprecedented economic spikes, adding 4.9% to GDP by 2025, as well as entering the top 10 list Global economies, according to the Ministry of Transport and Transport. Since the first moments of the 2013 announcement, many Middle Eastern countries and the European Union have begun to view Istanbul III as a threat to their local economies. The airport's operational plans indicate that it will capture traffic and passengers at regional and international airports, In the Middle East, Frankfurt in Germany, and Heathrow Airport in Britain, by virtue of its strategic location linking the east of the globe to its west and north in the south. It is expected to control aviation in the three continents of Asia, Africa, and Europe. The establishment of the new Istanbul airport threatens London Heathrow, the world's third most crowded airport, the newspaper The Economist said in a report published last year. The Grand Istanbul project will be the "biggest threat to European air transport". Istanbul currently has Atatürk airports in the European part and Sabiha goken in the Asian part. The third airport is located in the European part, also overlooking the Black Sea, where the four phases of the project will be completed by 2023. It will contribute significantly to supporting international trade And economic development; then Turkey will be the center of the global trade movement. Since Turkish President Recep Tayyip Erdoğan laid the cornerstone for Istanbul's third airport in June 2014, in a move that supports the government's direction to develop and raise investment rates, improve the tourism situation and support the economy, Very to connect the airport to the city center and facilitate traffic towards it. Turkish Prime Minister Ben Ali Yildirim has repeatedly stressed that his country will become an air link connecting the three major continents (Europe, Asia, and Africa) once the airport is fully completed, which will provide 90 million passengers a year. Work for more than 100 thousand people. The airport's investment amounted to 10 billion euros (equivalent to 10.6 billion dollars) and is implemented in cooperation between the public and private sectors. The government says the operation of the airport will generate 22 billion euros (about $ 23 billion) in revenues over 25 years. Once fully completed, the airport can provide services to 200 million passengers a year, making it a "connecting point" connecting the world's nations before launching again through open space. Turkey has made important progress in the field of aviation and the tourism industry, in comparison with the rest of the world, with the apparent importance of successive AKP governments in developing the economic sector. The number of Turkish airports increased from 25 to 55 airports in 2015, during Erdogan's party governments. The number of Turkish passengers increased from 35 million to 180 million a year in the same year. Turkey is a new airport project that will play an important role in achieving its economic goals of entering the list of the top 10 economies in the world by 2023. The government says the new airport will change the course of economic and development events around the world by its size, size and service capabilities. This will contribute to the transfer of international funds to Istanbul, thereby realizing its vision of making the city the largest financial, economic and commercial center in the region. Although the airport has not yet entered the service, high expectations have made it a focus of interest for Europeans and Middle East countries, which are concerned about its impact on the classification of a number of European and Middle Eastern airports. The Turkish government's announcement of Istanbul's development projects, including the third Istanbul Airport, the Eurasia Tunnel, the Istanbul Tunnel, the Metro Marmaray, the Sultan Yavuz Selim Bridge and the Sultan Ghazi Bridge, coincided with the involvement of Arab a nd European countries in supporting the events of Gizi Park. Anti-Revolt of the Arab Spring. The Turkish government often hints at the involvement of Turkey's allies in supporting or dissuading the AKP, which Turkey began to reap, including the development of the Gizi Park. - Where is the new airport located? The new airport is located on the European side of the city, within a forest area and nature reserves of the Turkish state, covering an area of 7,500 hectares. 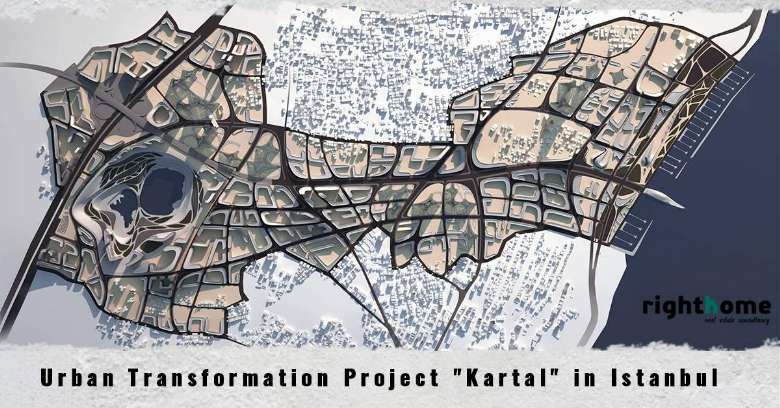 Dutch companies offered to contribute to the construction of the project, but later withdrew, and justified the withdrawal that the airport threatens the environment as a result of its stay in the forest area is the lung of Istanbul, which was rejected by the Executive Director of the airport, Yousef Akcahayoglu, said that the project is based on environmental care, Appointed at the airport director of the environment. The construction of the airport is currently being carried out by a group of Turkish companies: Genghis, Collin, Limac, and Calamba. The tender was won in 2013 and will be operated by companies for 25 years before being transferred to the government. To manage aviation traffic with the highest degree of efficiency and professionalism, the airport management has established a first-of-its-kind bird flu surveillance radar with a crew of 6 specialists to minimize the potential impact of birds on air traffic. - What distinguishes the airport? The new airport features a wide area of 150 million passengers, up to 200 million at the end of its four phases, with 165 bridges for passengers, an indoor area of 1.5 million square meters, parking for 7,000 vehicles, 6 independent landing and landing lanes , 16 parallel runways, 6 million square meters and 500 square meters for 500 aircraft. The airport also has 3 high-tech buildings, an aircraft traffic control tower, VIP lounges with luxury hotels, hospitals and emergency centers, prayer rooms, conference centers, 4 airport buildings, connected through electric drawers, 8 terraces, Followed by the state, power plants, water treatment facilities, and waste. Because Turkey has an emerging and growing economy under the Justice and Development Government (AKP) since 2002, Erdogan's government, after opening the third airport, seeks Istanbul to be one of the largest financial and economic centers around the world. Turkish Airlines forecasts that 125 million passengers (60 million passengers) will be transported annually by 2025; the new airport will transport 160 million passengers a year in its early stages. Although Ataturk Airport in Istanbul is a new airport with a capacity of 60 million passengers a year, but the growth of the number of passengers fast, the Turkish government was quick to think about overcoming some of the obstacles caused by large aircraft traffic as in 2015 and to avoid the cancellation and delay of flights, The construction of the new airport is inevitable and a reality imposed and an opportunity to achieve the most important goals of the government of justice development may not compensate, and make a boom in its economy and make it a financial and commercial center in the region. Awad, and to make a boom in its economy and make it a financial and commercial center in the region. Nearly 80 million people live in Turkey. The number of people is increasing as the number of tourists increases throughout the year. The presence of two airports in Istanbul with this heavy air traffic is never enough for these numbers, so the government started building Istanbul airport with a population of about 18 million people and 4 million residents. In its report "Technical Characteristics of Istanbul III Airport", the Turkish newspaper "Hurriyet" revealed on June 7, 2014, that the third airport is one of the largest international airports, based on the size of passengers who will be able to accommodate them on the return and departure flights. The construction process, which used 350 thousand tons of steel and iron, 10 thousand tons of aluminum and 415 thousand square meters of glass. As part of its efforts to attract and acquire the largest number of commercial centers and mega-companies around the world, Turkey has established the new airport in coordination with major projects all converging at one point.. The site also provides travelers with access to air, land and sea transport centers at the same time. According to the economic expert and Turkish businessman Ghazwan al-Masri, the establishment of the airport by these specifications enhances the position of the geographical location of Istanbul as a base station and a corridor for travelers around the world. "Istanbul is the only city in the world from which you can travel to 53 countries. In a press statement, Masri said that the stability of the large financial activity in Istanbul requires the provision of large transport services that facilitate the travel and transportation of businessmen, investors and tourists alike, and Turkey is able to provide transit services to them through the airport.